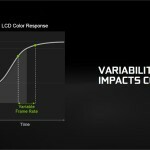 Nvidia is at it again with another major launch shoring up a strong start to the upcoming Computex Event. 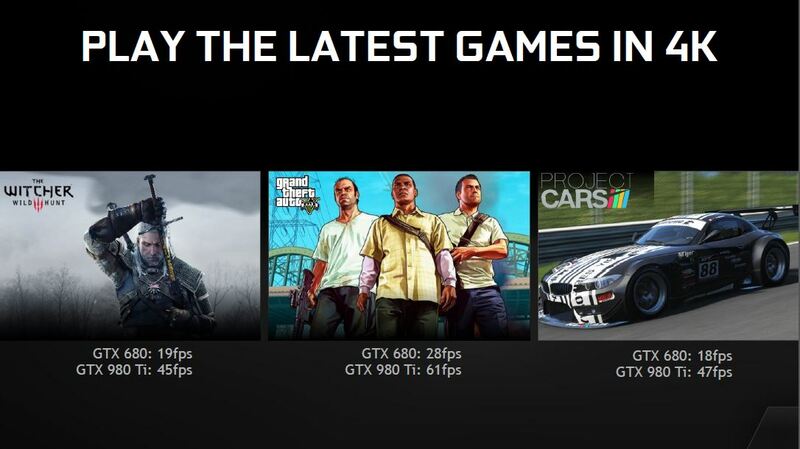 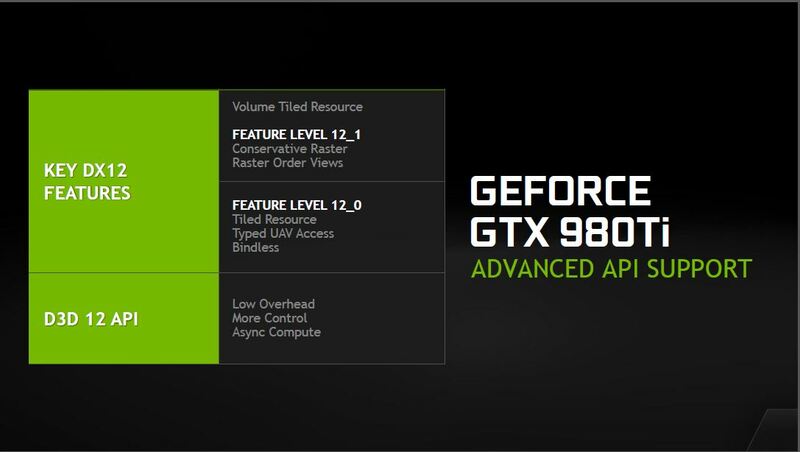 Now with Computex 2015 Nvidia has dropped something which has been rumored for awhile: the GTX 980 Ti! The 980 Ti has been “The Unicorn” product like we see almost every new GPU series launch where we all know that the current flagship is temporary and likely will be upstaged after the monster uber high end model drops. In this case it started with the 970 and 980 with the later following TITAN X. 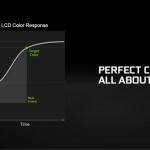 Now we all know the TITAN X is not for everyone, actually it’s for a very small subset of people who are insane enough to feel they need such a card or multiples of them (Myself included) but in reality when we are talking enthusiast gamers the 970/980 is about where most of the upper end gamers fall into, and with that the new 980 Ti looks to slot itself into a spot that will make the definition of flagship products move up yet another notch. 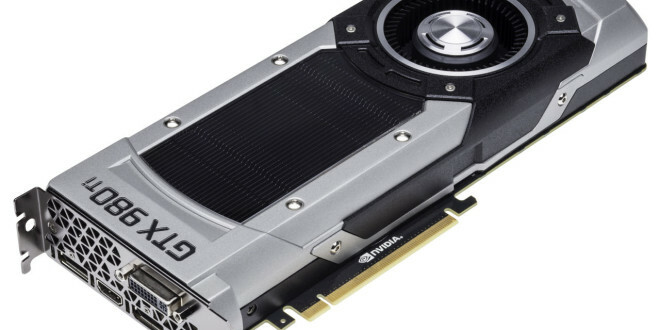 The GTX 980 Ti is looking to fill he $649 Price point pushing the 980 into the $499 category which is also a nice break for anyone looking to add another 980 to their rig. 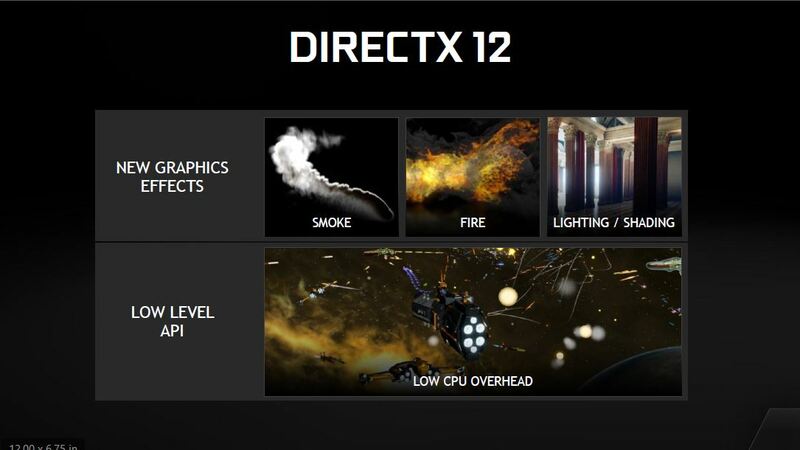 With 6GB of VRAM and what looks like a massively powerful engine to drive the beast I can only say that if it is as good in practice as it is on paper this could be one hell of a beastly card for the price point and will really put a lot of pressure on AMD for the 3XX series cards to be crowd pleasers. 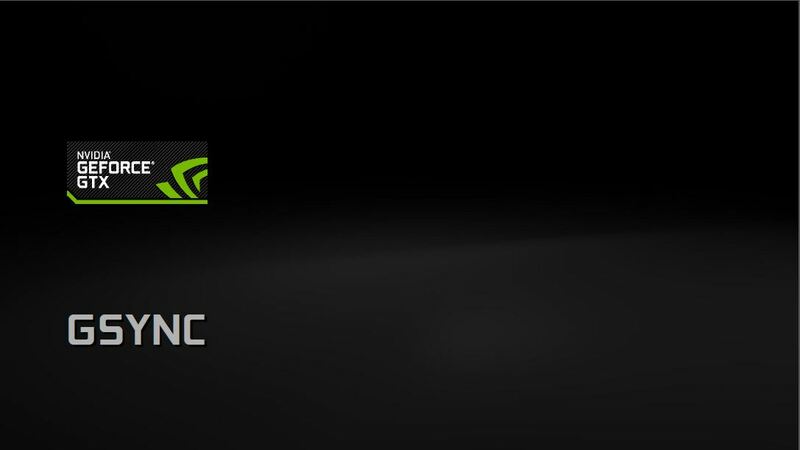 Just a note as of the time of this writing the info which follows is provided by Nvidia as we have not received our card sample yet (I know I am crying a little inside as well) but we should have it in the following weeks. 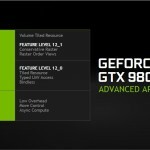 Nvidia always tends to jump a generation when showing their comparison as they know even enthusiast gamers do not necessarily buy every new card and usually if you buy for instance in this case a GTX 680 which in its own right is quite good that card can easily carry you with great gameplay and performance past the 7 series and to now where a 980Ti will be a insane 3 times performance upgrade. 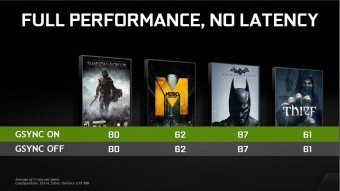 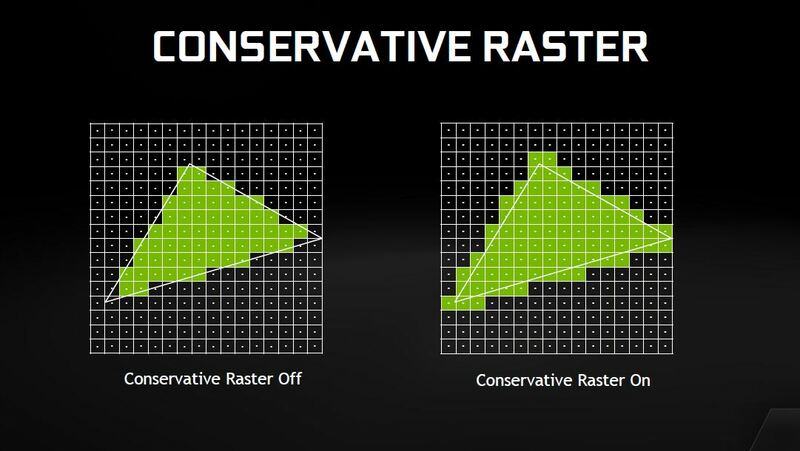 Now for posterity sake we also do see on the chart where the 780 Ti scales vs the 680 and the 980 Ti. 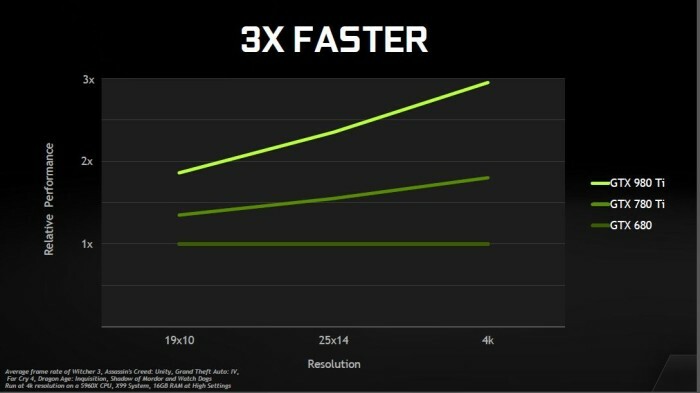 It is worth noting that at the 1080P side of the spectrum the gain is closer to a 1.8X performance jump with something like a 1440P monitor such as the ROG Swift I personally use showing even more of a lead at close to 2.3X the performance and at 4K averages go up to 3X performance. 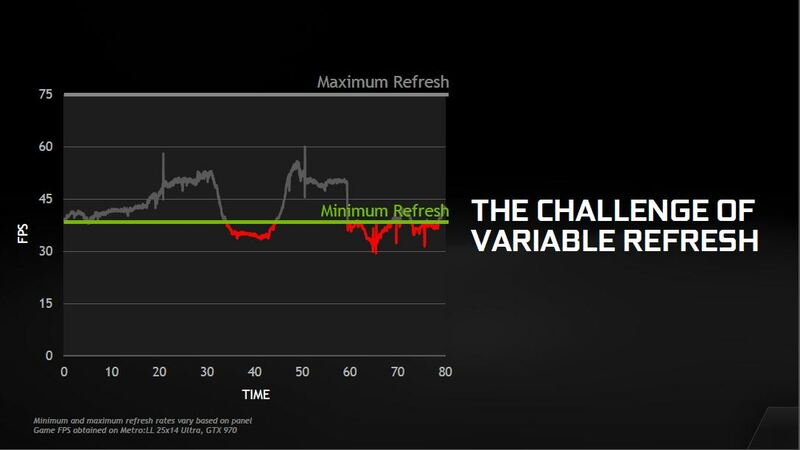 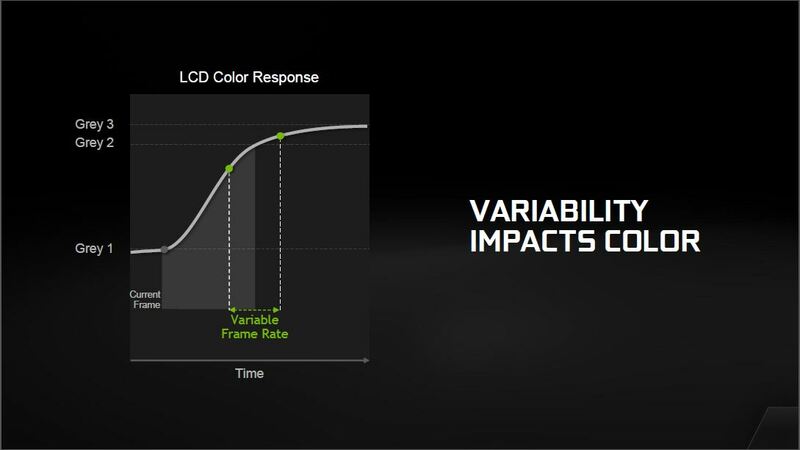 So what this really tells us is that the display resolution will play a big role as to how much performance increase you will see from jumping up to a 980 Ti from your aging but still capable 680 based rig. 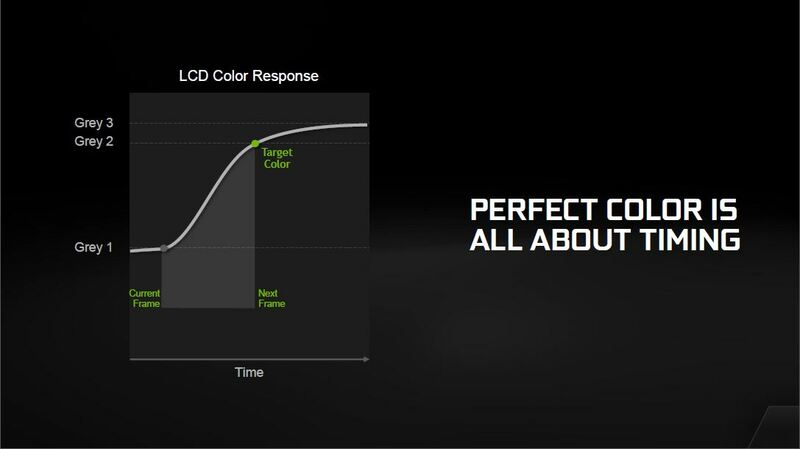 im sure once we get our test card we can give some solid comparisons across the board to give better insight as to where this will lie in terms of those jumping from 780 or maybe even 980 for the newest and best flagship. 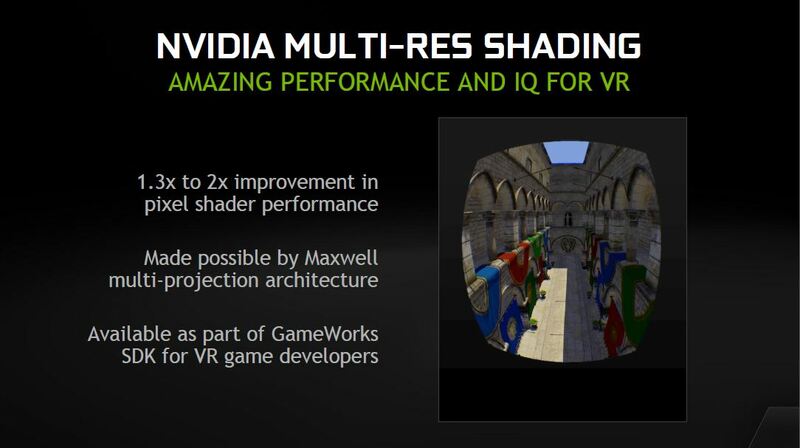 Looking at the specs you can see this is one hell of a massive GPU carrying 8 Billion transistors and pushing through a 384-bit memory bus to ensure you have a solid pipeline for all of your texture data. 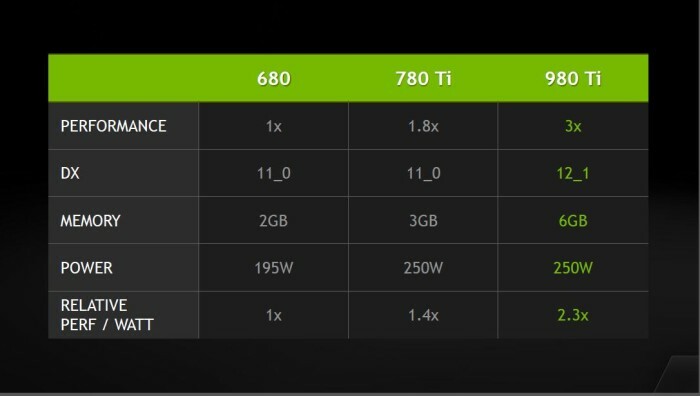 Powered by a 8 Pin PCIe and 6 Pin PCIe combo for a total board rated TDP of 250W means once again on paper that performance per watt should be a monster. 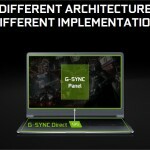 What improvements have been made since 980 launch? 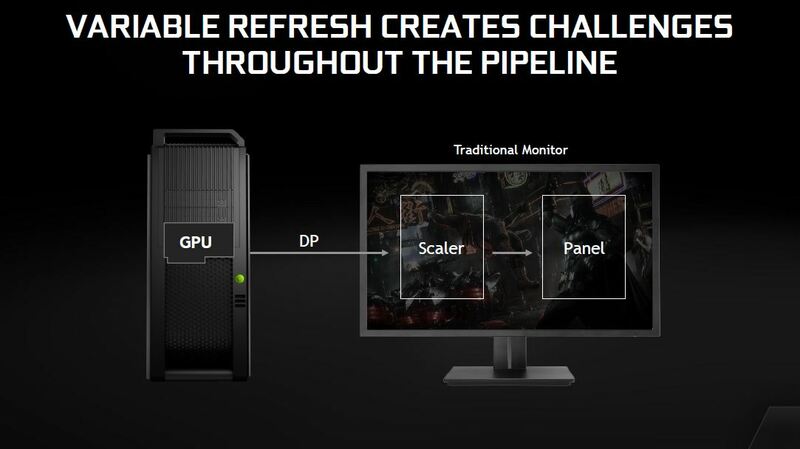 Per Nvidia PR info the new technologies are really focusing on DX12 as Windows 10 is coming soon and with it the new API but I am a bit apprehensive as far as that goes since I remember DX10 launch and how long it took games to start actually utilizing that API. 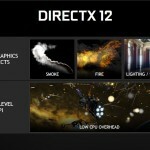 But at the same time I have seen tech demos popping up already utilizing the new API, I still do have that nagging question of when new games will come out showing it or even more so which of our favorite games may have a DX12 patch or pack update available to enable the DX12 API and its performance and visual improvements. 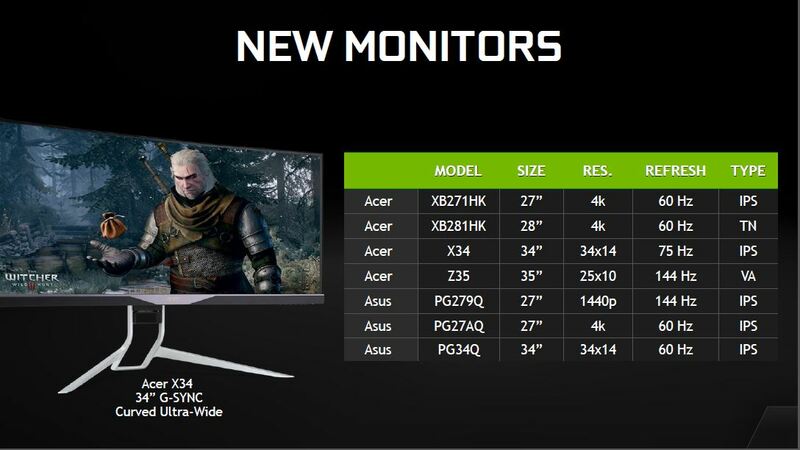 The second part is 4K which of course has been talk for a while since 4K panels continue to drop in price at a rapid pace, add to this the detail that can be delivered with said panel and it means a whole new dimension when trying to deliver hyper realism within the gaming experience. 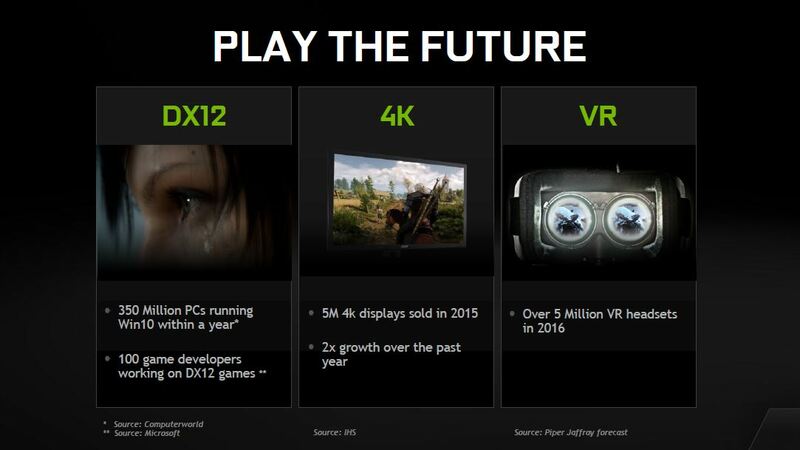 Lastly you have VR, as we all know the VR race has been feverish and the rush to see who’s gonna win as the top. VR system has never been hotter but from a tech standpoint Nvidia is already exploring how to make VR better. 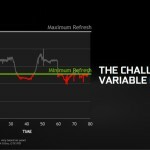 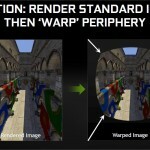 How can they increase render performance and visualization to give the best experience possible? Here you can see as I covered before that the performance delta has really opened up and also you can see the VRAM made another massive jump as new 4K textures are requiring much more framebuffer than ever before. 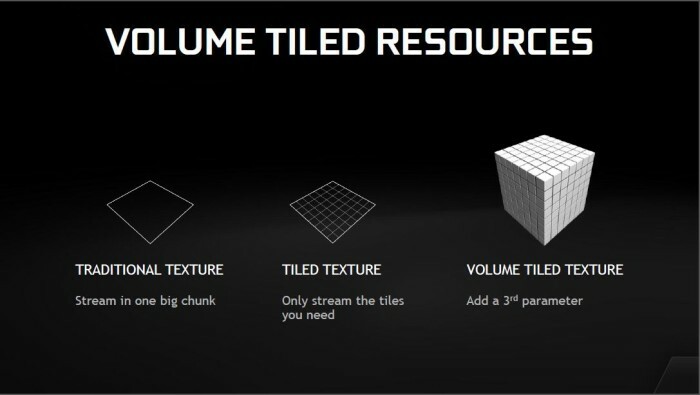 With gaming environments using so many textures and different effects Nvidia has found ways to tile this data to more efficiently utilize available resources which should lead to better overall performance by streamlining how all of the different lighting, smoke or other visual effects a game may require the graphics card to process. Here you can see some of the other efficiency and process improvements which allow for Nvidia GPUs to render more efficiently in real time to eliminate texture holes and with that creates better looking textures delivered to your screen. 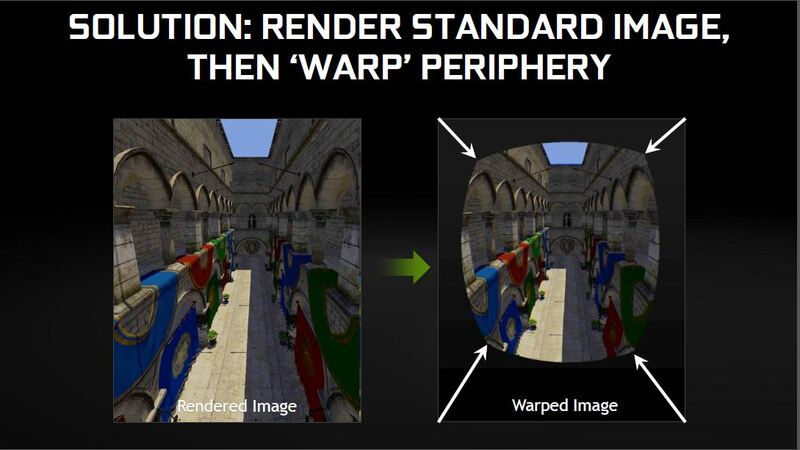 With VR being the hot topic presently Nvidia is working on improving how it renders VR related images. 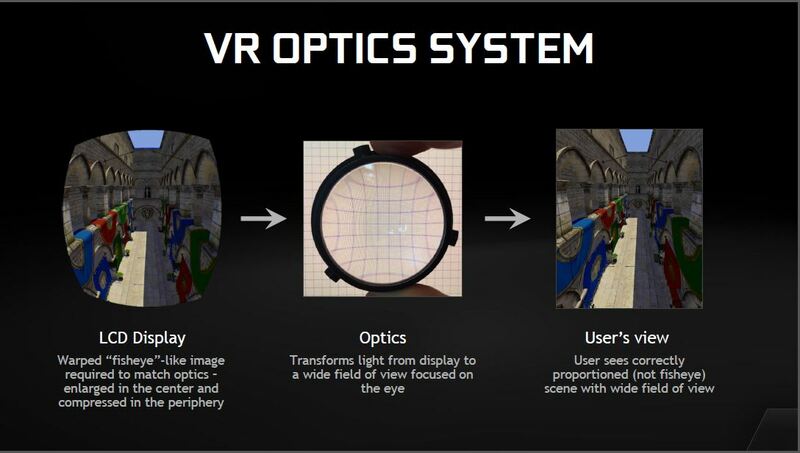 As you can see the images have to be warped to create what you see with optics which will deliver the wide FOV you get with a VR headset. 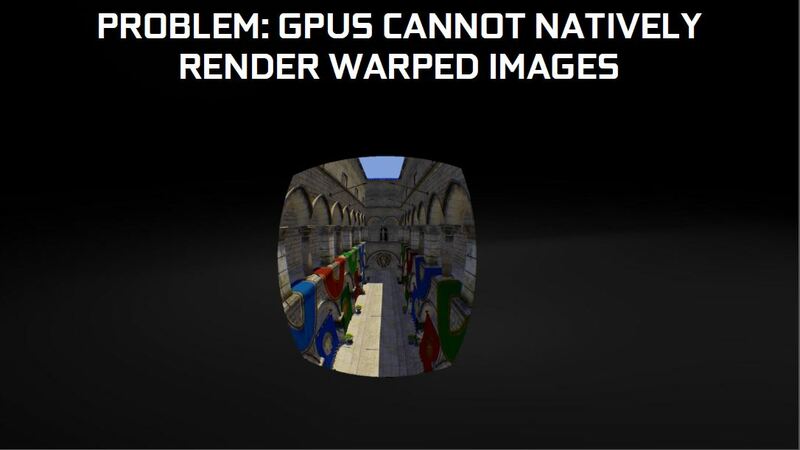 Here you can the images when being warped simply do not render well as games were designed to be rendered on a screen without the need to bend them to meet what the VR headset can deliver. 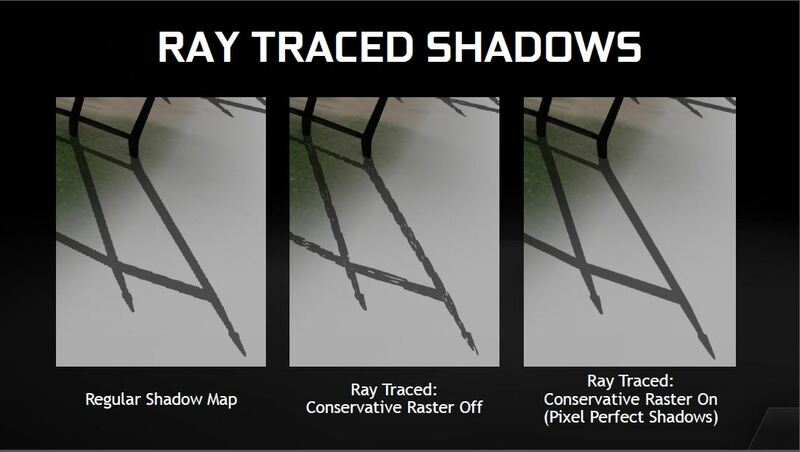 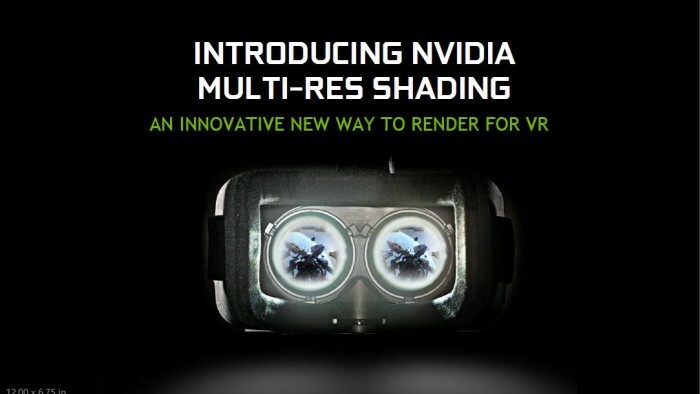 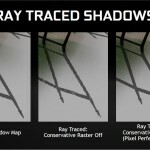 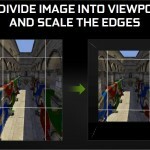 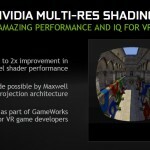 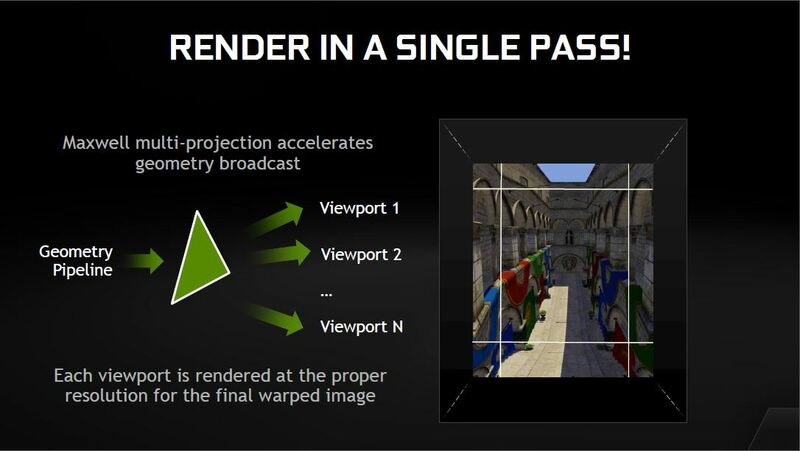 Nvidia has come up with a solution which involves sectioning frames to deliver what it calls multi-res shading. 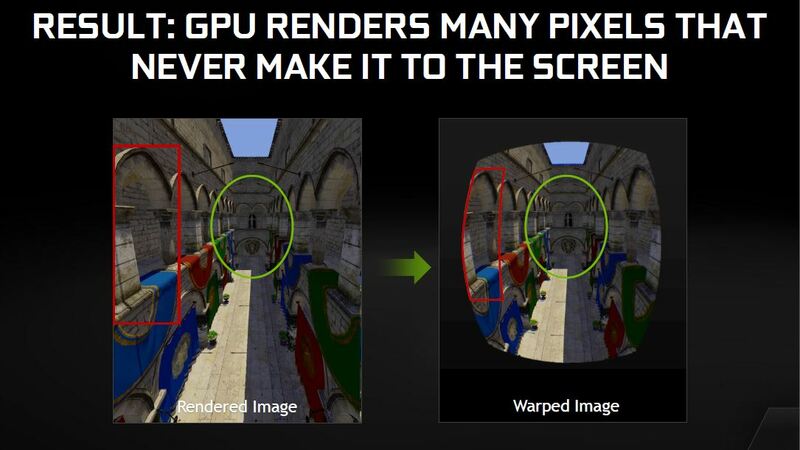 Here you can see the Nvidia provided details on how it optimizes processing for needed VR images so that each section is fed outward to the display as needed without the need to try and warp the image on output. 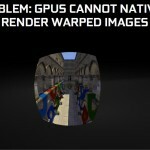 This can allow a very nice output on the image. 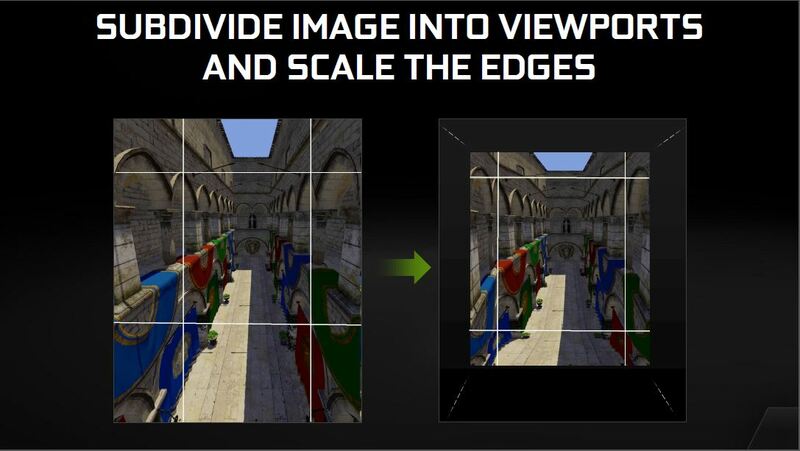 This is accomplished by actually changing the output resolution of each section so that when it is output to the display (VR Headset) it will have the correct scaling to wrap to the VR viewing experience. 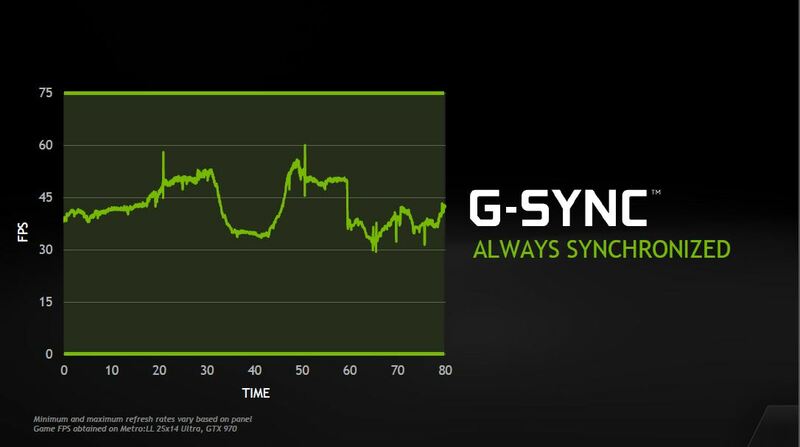 GSYNC is something I have went into quite a lot and have personally tested across a few displays now and can confirm it is truly a game changer as far as the smoothness you can feel in your gaming experience. 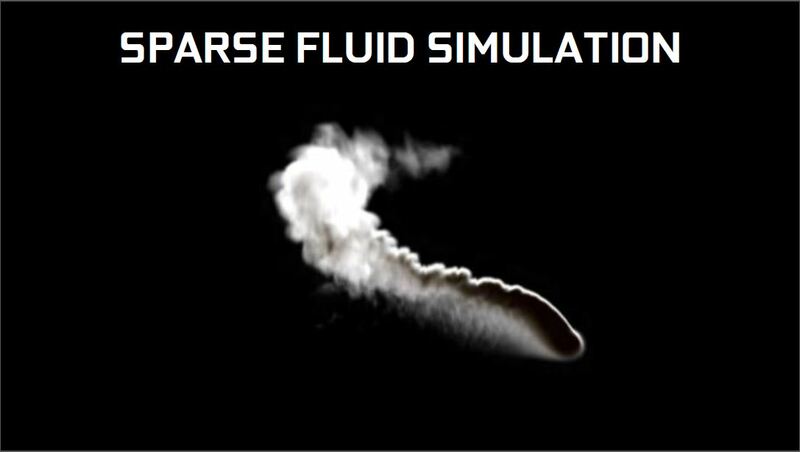 I still to this day have a tough time quantifying the effect but it is truly nothing short of amazing. 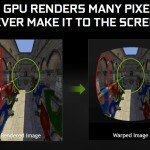 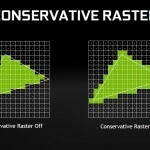 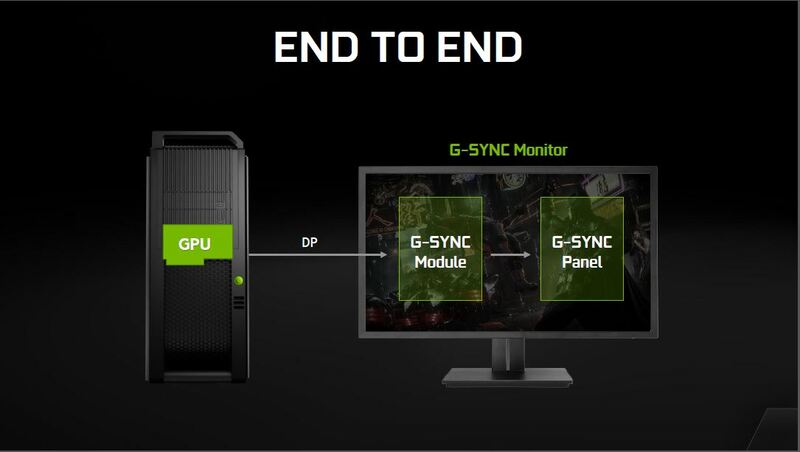 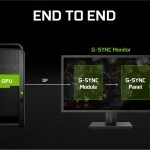 Here as you can see and similar to what we have shown before GSYNC basically makes an end to end communication possible to ensure that you are getting the image as it should be shown direct from the GPU without receiving possible half drawn frames which will cause tearing or even stutters. 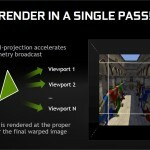 Beyond just the frames another thing to consider is color accuracy and reproduction due to G2G or grey to grey changes so where one frame may render may result on a different point in the gray scale compared to where another lies so this is important as Nvidia offers “Variable Overdrive” which can push the same color to sync properly for a full sync of not just frame delivery but accurate color delivery and reproduction on every frame every time. GSYNC offers pretty awesome performance from my testing over a pretty long duration now but one thing worth noting is that the delivery of this experience does not cost any performance for your PC and thats huge as sometimes effects that help with visual quality can be heavily taxing and can degrade performance causing you to lower visual settings. 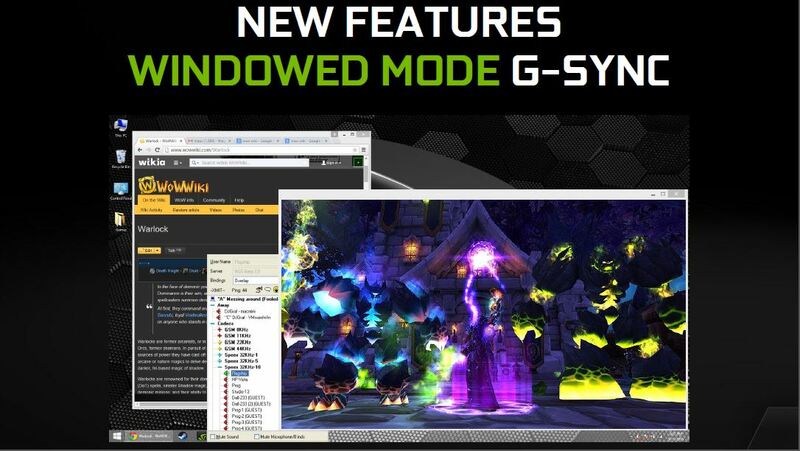 A Really awesome feature I am excited to see show up is Windowed mode GSYNC, I do know that previously you were required to run in full screen mode to have GSYNC function so having windowed as an option is a huge help as it really opens this gaming experience to so many more users who need to run in windowed mode for a number of reasons. 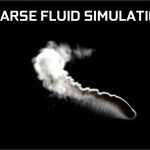 And here we have it, I knew eventually this would have to happen and now it’s here! 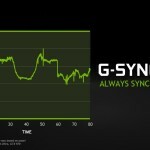 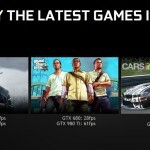 now GSYNC gaming experience in a mobile platform is huge. 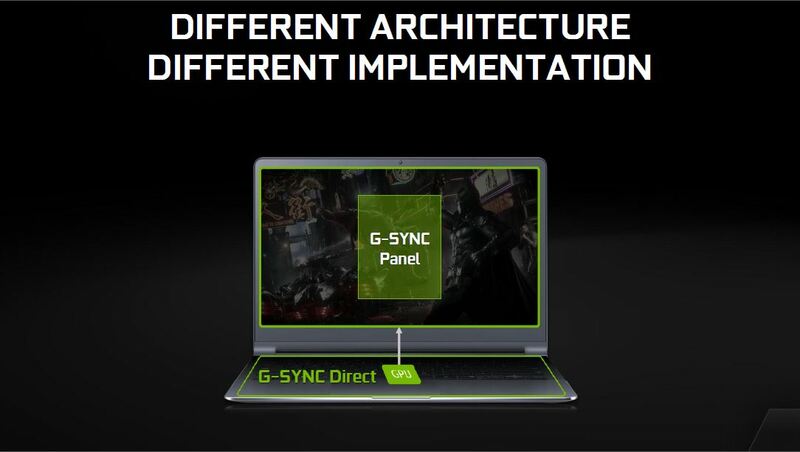 As you can see Nvidia is not just enabling GSYNC for mobile products but they are making sure the technology pipeline is in place to do it right. 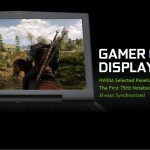 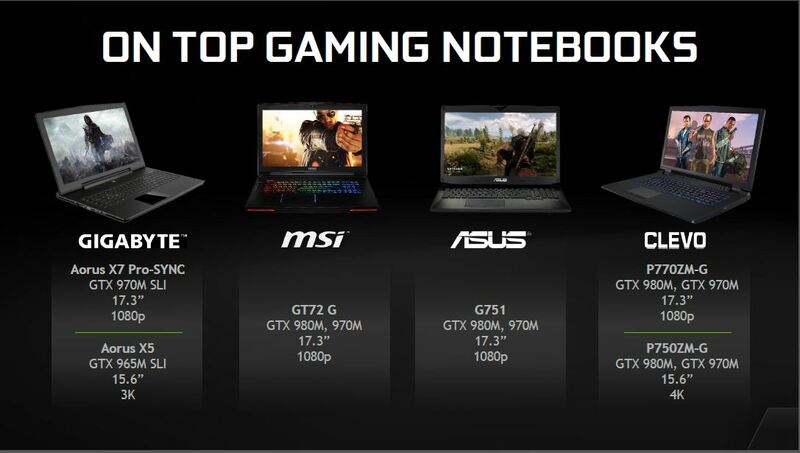 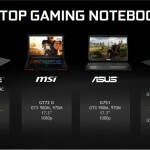 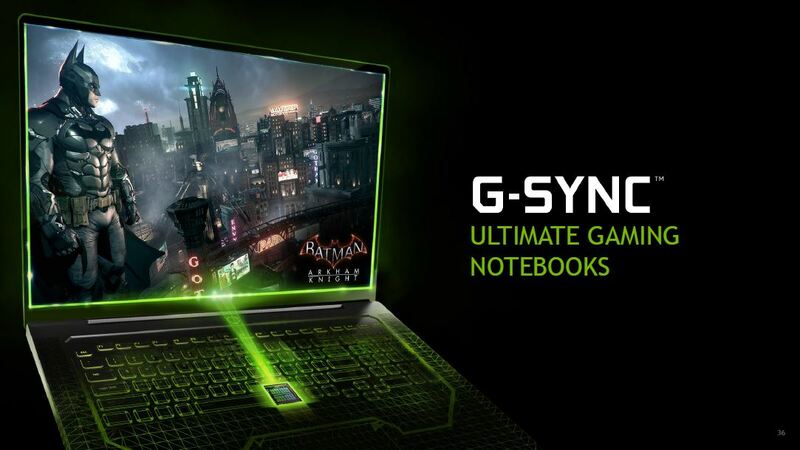 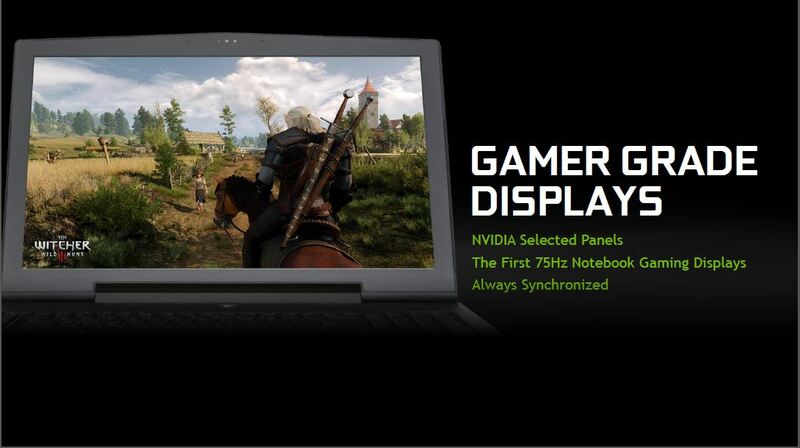 Add to this the fact that they are working with partners to deliver GSYNC enabled notebooks are even introduce higher refresh GSYNC panels for notebook gaming with GSYNC means that some serious good things are ahead for gamers who may need a notebook rather than a desktop. 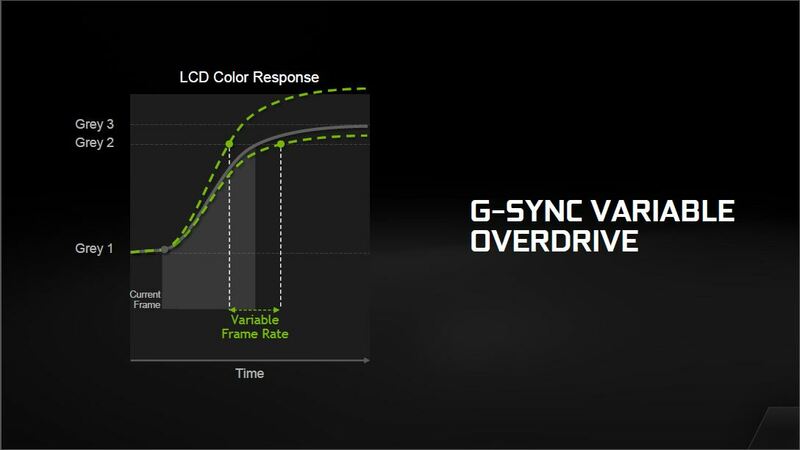 For desktop users you can see that the GSYNC display offerings are strong and growing with 4K displays and what Im really excited about is the new ROG SWIFT IPS model which will likely be tested very soon in place of my original unit as IPS is simply going to be awesome at 144Hz GSYNC.